The new year is here, and with the new year comes new trends. 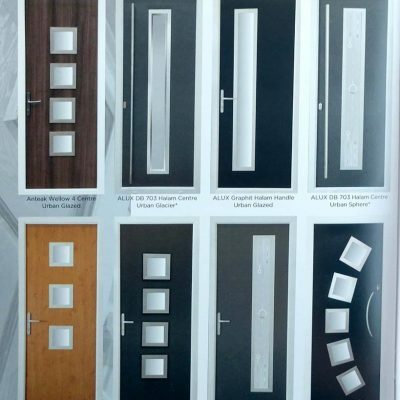 New and exciting styles pop up every new year across all sectors of home improvement, and front doors are no different. There are now more choices than ever when it comes to selecting your new front door, with composite doors leading the way as one of the very best options on the market. We supply a wide array of composite front doors (and rear doors, and narrow doors…) with so many choices available, so we are going to take a look at what we feel are some of the top composite front door trends 2019. One of the door styles that grew most in popularity in 2018 and will continue to do so in 2019 is the composite fire door. Following recent concerns about the safety of standard UPVC doors – especially for those who live in shared flat/apartment blocks – more and more home owners, landlords and councils are choosing to install approved fire doors. Fire resistant composite doors typically come with an “FD” rating, usually from FD30 to FD120, which indicates the minimum amount of time that each door is fire resistant for. The most commonly used is the FD30 fire door, which guarantees that the door will provide fire resistance for at least 30 minutes, meaning that in the event of a fire, the chances of avoiding catastrophic damage, injury, or worse, are much better. On top of their enhanced safety capabilities, another great thing about composite fire doors is that you don’t have to sacrifice on the style either. Composite fire doors come in a wide range of colours and designs, meaning that they really do offer the best of both worlds. Expect to see composite fire doors continue to become more popular going forwards. We now supply a range of FD30 fire resistant front doors. Are you a technophile? Are you in to the latest gadgets and home automation? Or do you just want to feel like a secret agent whenever you enter your home? If so, then this is definitely one for you. After many years of using the same locking technology and mechanisms, doors have joined the smart home revolution with smart lock front doors now becoming more and more popular. Smart locks remove the traditional physical efforts required to open and instead use technology. They generally work the same as traditional locks – with lock and unlock functions – but rather than a typical keyhole it will have a scanner which is activated by a simple swipe of a fob, card, or even your smartphone. Using the right smart home setup can even allow you to control your smart lock front door with voice commands. Not entirely comfortable trusting the security of your home to technology? Well certain smart door locks such as the Yale Conexis L1 come fitted with tamper proof internal alarms for extra security, and are battery powered meaning they will not be effected in the event of power cuts. Imagine no more rooting around in your pockets or bag for your keys whilst trying to juggle shopping bags, and instead being able to simply unlock your door with a swipe – that is what smart lock front doors can offer you in 2019. Throw in the smart notification system that allows you to safely monitor who has entered or exited your home and it’s not hard to see why smart lock doors are in trend for 2019. You may be wondering “What is a smooth skin door?”, as they aren’t necessary as well known as the previous doors mentioned, but they are becoming more and more popular – with good reason. Smooth skin doors are long lasting alternatives to steel doors, featuring a pre-pigmented “skin” that resists damage such as scratches and dents. This means that they are highly durable, able to withstand almost all of the wear and tear that usually comes with exposure to the elements. Once again, along with offering increased durability, smooth skin doors are available in a range of fantastic styles, with contemporary aluminium cassettes being particularly on trend for 2019. Smooth skin doors are part of a brand new range that we have recently received here at Bespoke Door Installations, and they are now available for fitting across the region. Offering safety, technology, and fantastic looks, we expect all of these types of doors to be very popular in 2019. However each home has a different style, and there are doors out there to suit every property and all tastes, which is exactly why we specialise in providing completely bespoke front doors exactly to our customers tastes. 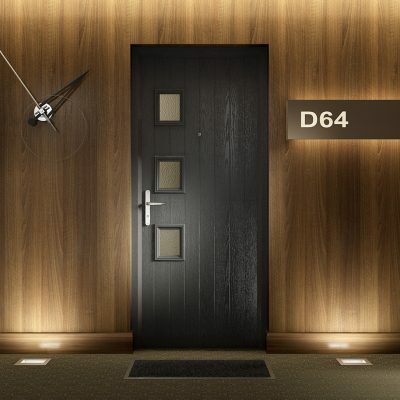 Why not give our door designer tool a try below and create the perfect door for you? If you have any questions regarding any of our bespoke doors and related products then please don’t hesitate to get in touch with us on 01623 325000 or send us a message through our contact page.